Xvidia Technologies has created a unique wearable mounting device Xelvi. Xelvi is a one of its kind first Smart Cam which can stay with you wherever you go. You can mount it on your helmet, clip it to your sleeve, or pin it like a brooch on your coat. With Xelvi on auto mode you’ll never miss a moment; whether it’s the first steps of your baby or whizzing past a frozen lake in a fast car. Enjoy the moment without the huff of trying to capture it. With Xelvi on your body, free your mind and hands to do what matters. Pair your Xelvi over Bluetooth with your mobile or laptop and see what it’s seeing. Hook it up with your Wifi and your “friendly eye” Xelvi is accessible to you anywhere in the world. Catch all your videos in your Xelvi login. Share, star or simply re-live the moments that matter to you. The Xelvi iOS, Android and desktop app allows you to tag, write a one-line description, and share your amazing journey LIVE as well as recorded, with other Xelvi users, and see what they are up to. We believe capturing amazing moments on video should be as easy as viewing them. The revolutionary Xelvi packs a punch because you don’t need to hold it or operate it, you simply have to auto-mode it, and wear it or plonk it… and get going. Xelvi is your eyes and ears in your child’s room, even if you are at the other end of the globe. When switched to car mode, Xelvi’s in-car video systems are activated. 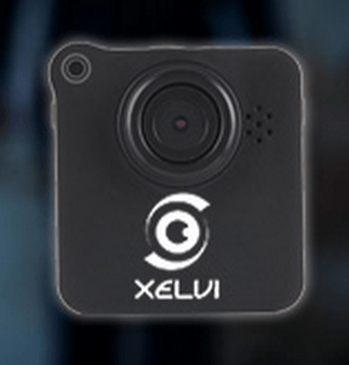 Night vision recording, GPS, and LIVE Streaming combined with Worldwide Xelvi allow you to keep an eye on your car, as well as any of your near and dear ones travelling in a Cab. Armed with an HD camera, an ultra-small GPS unit, and many in-built sensors you are never alone in your moment. Share access to your Xelvi with your near-and-dear ones so that they can monitor your cab, bus, or train journey through your friendly eye. It is the next big thing in cloud based technology & IoT applications. It is first of its kind wearable device with cloud based management. It is sure going to change how wearable’s are perceived.